Tennessee’s First Lady Andrea Conte will be in Woodbury on Friday morning, April 16, for the third annual “Andrea Walks for Tennessee’s Children” child abuse awareness walk. The First Lady will lead a one-mile walk that will begin at Dillon Park and end at the Fairgrounds Agricultural Center. The Walk registration will be held from 9:00-9:30 a.m. and the Walk will begin at 9:30 a.m.
First Lady Conte is hosting Walks in 12 select cities in the state this spring to increase awareness about the serious issue of child abuse. Conte’s goal is to stop the abuse of children and prevent children from being re-victimized. The Child Advocacy Center is delighted that Ms. Conte chose Woodbury as one of the 12 cities she will be walking in this year! The Child Advocacy Center is a non-profit agency that serves child abuse, child sexual abuse, and drug endangered children. The Center staff work as a team with Department of Children’s Services, law enforcement, and the District Attorney’s Office to investigate and prosecute child abuse cases. Last year over, 20,000 children were served at Child Advocacy Centers across Tennessee, including 87 children served by the Cannon County Child Advocacy Center. Doug Combs with WBRY Radio and Faye Northcutt-Knox with the Woodbury City Council are the chairpersons of the event. Walk Committee members include Youth Services Officer Catherine Player, Woodbury Police Chief Tony Burnett, Wanda Parker with First Bank, Department of Children’s Services Parent Support Kelly Sullivan, Connie Foster from Coordinated School Health, and Cannon County Child Advocacy Center Coordinator Amanda Burks. Local businesses and organizations have been very supportive of “Andrea Walks” and the Child Advocacy Center. Sponsors include First Baptist Church of Woodbury, Middle Tennessee Electric Customers Care, Preston Brothers Construction, DTC Communications, Stones River Hospital, First Bank, First National Bank, Middle Tennessee Natural Gas Project Hometown Help, and the Predators Foundation. Individual contributors include District Attorney General William C. and Lucy Whitesell, Assistant District Attorney General David and Linda Puckett, and Judge and Mrs. David Bragg. In-Kind contributors include 1540 WBRY, the Cannon County Courier, Woodbury Police Department, County Executive Mike Gannon and the Cannon County Commissioners, Piggly Wiggly, and Briar Rose. It is not too late for other individuals and businesses to get involved. 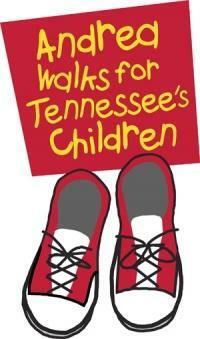 If you would like to make a contribution to the Cannon County “Andrea Walks for Tennessee’s Children” you can contact Amanda Burks at the Child Advocacy Center at 563-9915. Registration forms may be faxed to the Center at 563-9916. Anyone interested in participating as a walker can obtain a Walk Registration from by contacting the Center to pre-register or by joining us at the Walk registration on Friday, April 16 at 9:00 a.m.